Eggs alone - a large egg has about 185 milligrams of cholesterol, all of it contained in the yolk - had the same more-is-worse effect. Each additional half-egg a day was associated with a 6 percent increased risk of cardiovascular disease and an 8 percent increased risk of early death. The study findings are observational and cannot establish cause and effect. But no matter how heart-healthy the rest of a person's diet, the more eggs consumed, the greater the risk for cardiovascular events, coronary heart disease, stroke, heart failure and premature death. The same was true for dietary cholesterol, independent of other dietary characteristics: The more cholesterol in your diet, the higher the risk for disease. The findings were published in JAMA. Dr. Robert H. Eckel, a professor of medicine at the University of Colorado who wrote an editorial accompanying the study, called the work far more comprehensive than previous reviews. 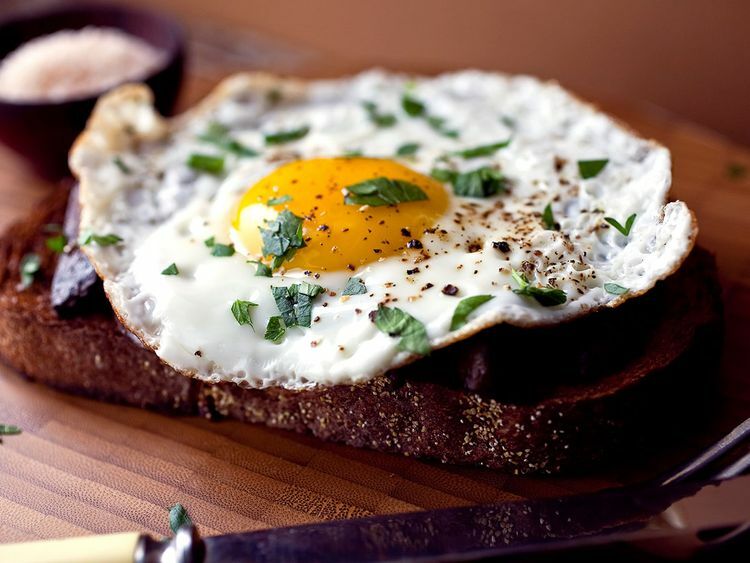 There is "enough data to make a strong statement that eggs and overall dietary cholesterol intake remain important in affecting the risk of cardiovascular disease, and more so the risk of all-cause mortality," he wrote. The authors say that the average cholesterol consumption of Americans has not changed much over the last few decades - about 300 milligrams a day. But even at that level, they found, dietary cholesterol is tied to an increased risk for cardiovascular problems. There are many other risk factors for heart disease besides diet, and the numbers the authors cite indicate the percentage of additional risk from a high-cholesterol diet, so the effect is not striking. But heart disease is the most common cause of death in the United States - more common than all forms of cancer combined - so even a small relative increase in rates of illness means a large increase in the number of deaths. "This study takes into account the general quality of the diet and adjusts for it," said Norrina B. Allen, lead author of the new study and an associate professor of epidemiology at Northwestern. "We really were focused on the independent effects of eggs and dietary cholesterol. For example, healthier people tend to eat more eggs because they feel there's a lot of protein in them, but even for healthy people on healthy diets, the harmful effect of eggs and cholesterol was consistent." She noted that not all people are affected in the same way by dietary cholesterol, and that the relationship between the amount of cholesterol consumed and the amount in the blood is complex and varies from person to person, depending on metabolic and genetic factors. Some people can eat a lot of eggs, and little of the cholesterol goes into the blood. "Our study examined dietary cholesterol at the population level," she said, "but for individuals, there will be a lot more variation in the relationship between dietary cholesterol and heart disease." Still, she said: "This study found a very consistent association. But eggs have some advantages - amino acids and minerals - and these are beneficial. You do want to reduce the number of eggs, especially egg yolks, as part of a healthy diet. But we don't want people to walk away thinking they shouldn't eat any eggs. That's not the right message." Several aspects of this study make it different from and, to some experts, more convincing than other reports. The authors were able to isolate data for each individual participant, unlike "most previous meta-analyses, which have combined the results that have already been calculated," Allen said. They were also able to record the exact amounts of cholesterol in each person's diet and to sort out the effects of the cholesterol in eggs from all the other foods that contain cholesterol. Dr. Frank B. Hu, a professor of nutrition and epidemiology at the Harvard T.H. Chan School of Public Health, found the work interesting and carefully carried out but, he said, "the results are surprising because here even a half-egg a day makes a difference. This study seems to find a much stronger association than what has previously been found." Allen said of the latest study, "Despite its strengths, future studies are needed to understand why we are getting conflicting findings across populations and whether there are some people for whom eating eggs is bad and others who are not affected."